Take even a cursory look through some of the less presentable recesses of the Internet and you’ll quickly learn one thing — everyone wants to be a Na’vi. 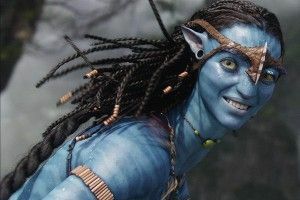 When James Cameron dropped Avatar back in 2009, something of a fledgling movement arose, made up of everyday folks who saw the nature-centric, harmonious (and, yes, completely and utterly fictional) world of Pandora, and its Na’vi people, as preferable to our own. See: Will it be possible to create real life Na’vi from Avatar? ; What do the Navi people of Avatar (the movie) eat? ; and the ever-helpful How to be like a Na’vi, featuring such instructions as “Get in touch with nature,” “Find a deep connection with the nature around you,” and “If you want to look like one if you’re a girl you can use blue eyeshadow.” Or how about the classic Avatar Makeup Tutorial (“In order for you to be legit Pandora people you’re gonna have to opposite-bleach your skin and dye it blue”)? And let us not forget this timeless headline: Avatar: Na’vi-impersonator secession group formed in Florida. Logical! Yes, highly, highly logical. Anyway, sorry, Americans, Australians, Belgians, Peruvians, Congolese, and every other kind of fanatic international Avatar fan — the Chinese got to your beloved Pandora first.